The great part about writing about art of games is that we choose what art to write about. Recently there have not been much catching our attention and it seems far between the games that receive the proper love on the artistic side. 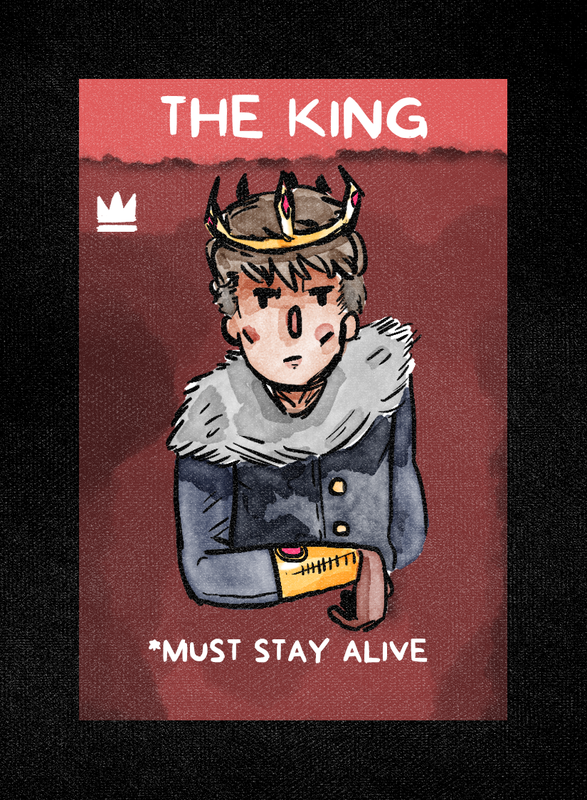 But then we stumble upon the pretty little card game called Dethroned -designed by Eliot ‘KiteLion’ Leo Carney-Seim. 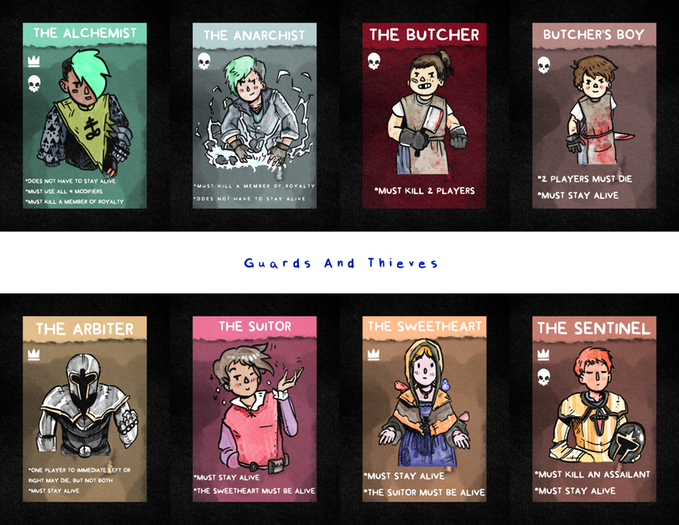 This is a hidden role cutthroat game without turns. The game is a pretty example on how you can make elegant card illustrations that together create a family of cards without over cluttering of details. 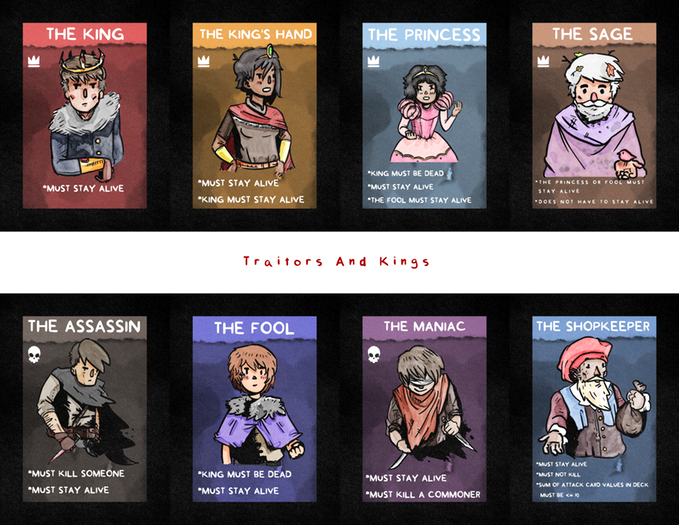 The characters in the game each has their own story and is simple but expressive. We are happy that we got to talk with Graham Dolle about illustrating Dethroned, he is the artist behind the game. He recently moved from Maryland to Flagstaff, Arizona. 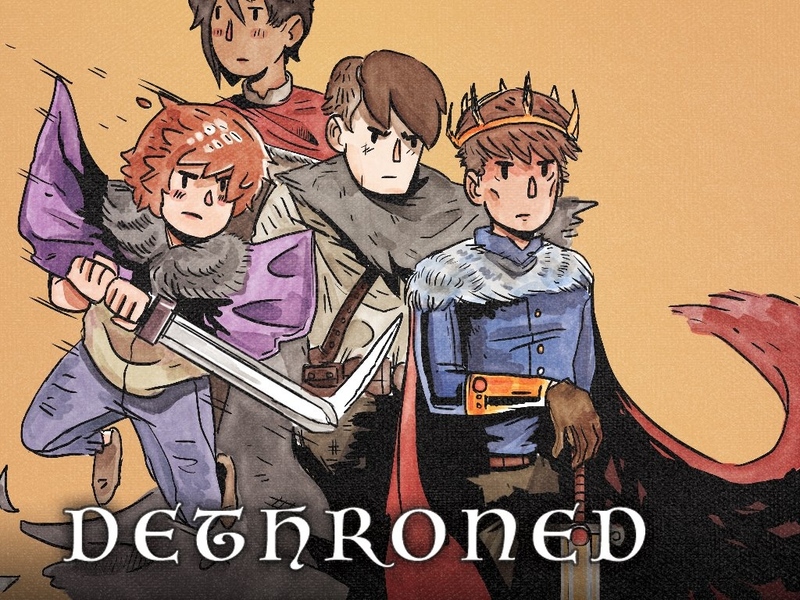 That art for Dethroned looks amazing and stupendous. Oozing of adventure your characters are very graphic and natural. 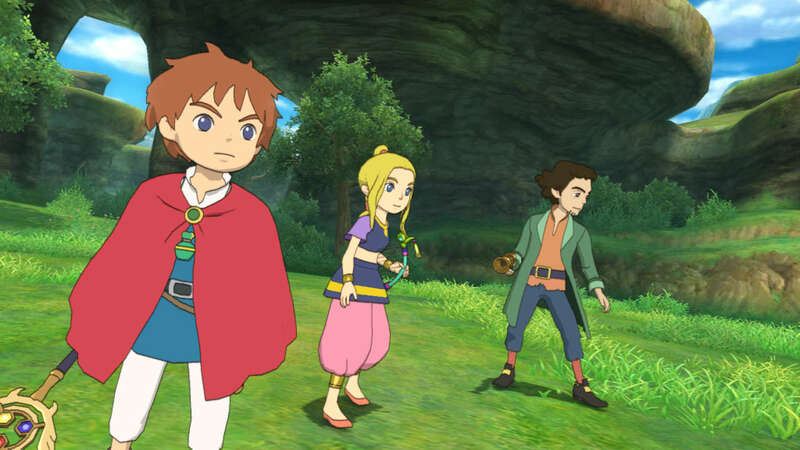 They remind me of the console game Ni no Kuni – where androgyne characters wearing cloaka and small swords and are more cute than terrifying. The style on this game is different from you online games – how did you come to chose this style for the game. I went through a lot of different styles and ideas before finally reaching the style that ended up being used for the entirety of the project. It took literally about three months until it finally clicked, but I usually do simplified vector graphics for nearly all of my digital games just cause I’m the quickest when it comes to vector art, illustrator, etc. You are game developer yourself – mostly digital games right? How big a part of a game experience is a games art in your opinion . I think that the art is really important to tying together the theme and the design. From a utilitarian viewpoint, art in physical games is really there just to make the game approachable and fun to play with, but, for digital games art is really essential to relaying essential feedback to the player with key animations and particle effects et cetera. But for me I think art is less important when I’m working solo just because I can’t spend all my time doing art when I also have to design, code, make music etc. 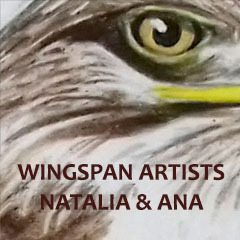 On your twitter we can see some hand drawn pencil sketches from the illustrations. Could you roughly describe your workflow on your game illustrations. From start to the final image. 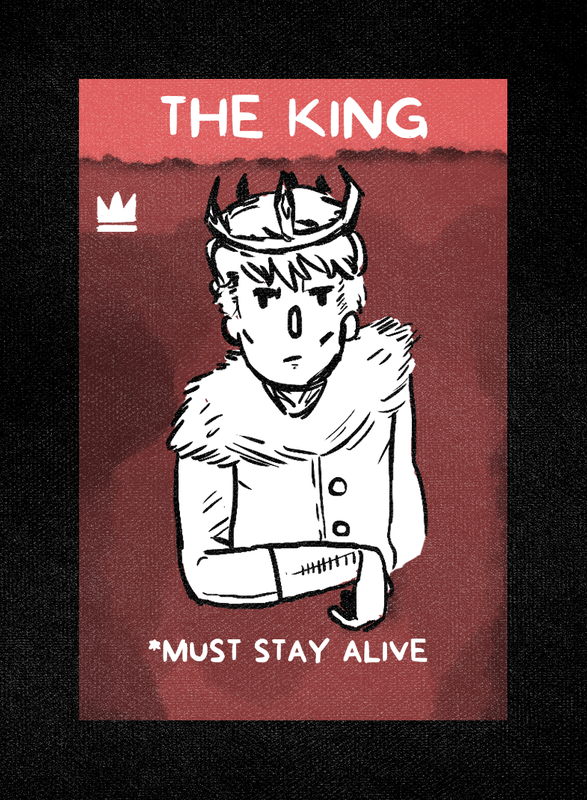 So I start with the basic card with a color and the info and then I do the line work with a clean comics brush. After that I clear the canvas under the line work so that when I put the watercolors on it will show the full colors rather than the red underneath. And that’s about it. Every card takes me about an hour or less to finish and if the card is not up to standards we redo it later. 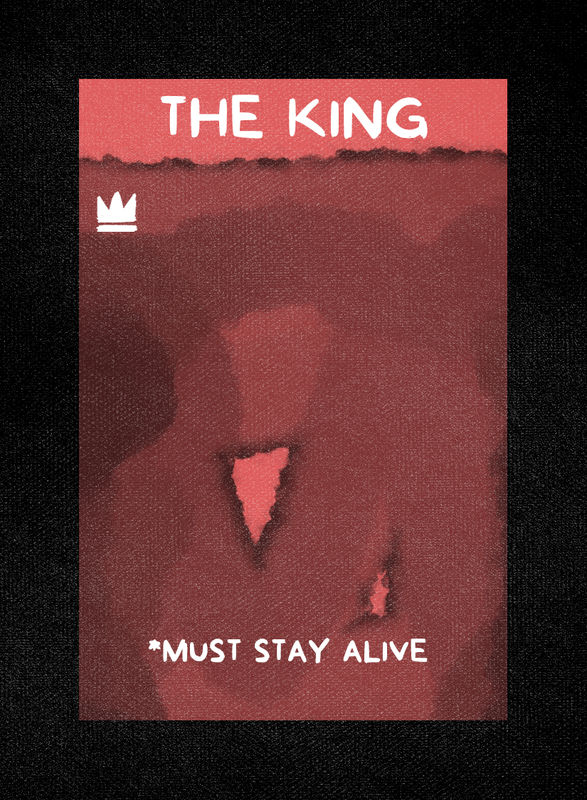 The King was redone once, but his original design is still in the game somewhere. 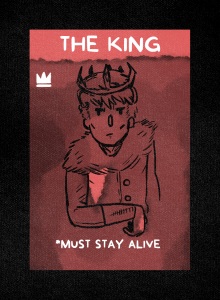 The colors on the Dethroned cards are a lovely palette of desaturated pastel. It looks like it is painted with aquarelle. How did you choose those colors and were they applied digitally ? I do all my colors on the spot and just try to make them as pleasant as possible, but also a little desaturated just cause Dethroned has it’s flashy moments but is also dull and dark. One thing I’m pretty proud of is that all of the skin tones for every character are pretty much different every time unless there is a familial relation between two characters. One thing I’m pretty proud of is that all of the skin tones for every character are pretty much different every time unless there is a familial relation between two characters. I use Kyle Websters photoshop brushes for everything I do, and his watercolor brushes are used for all of the coloring in Dethroned. There’s also a canvas texture on top of everything which really brings everything together and makes the style really communicate the medieval theme. That is interesting to hear. They are very harmonic – so what piece in Dethroned is your personal favorite? 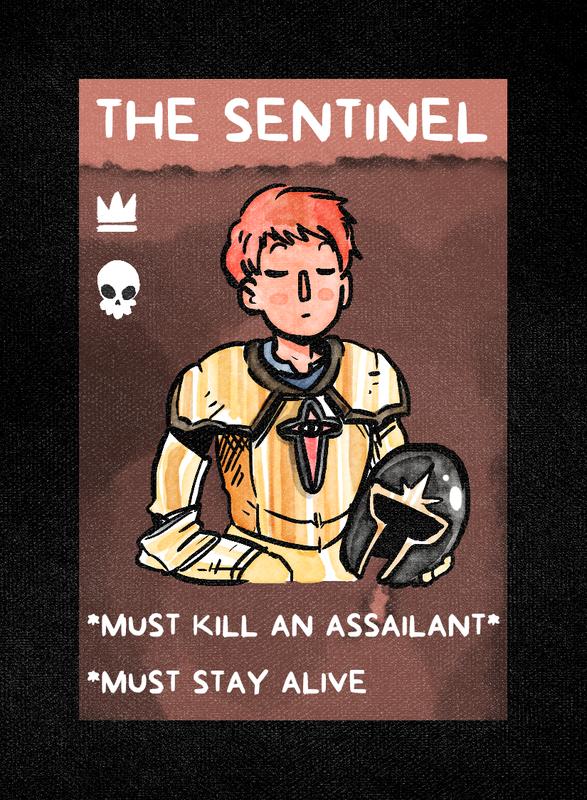 The sentinel is definitely my favorite card. I just love all the colors and the character just says a lot with just her pose. Who are your own favourite artists out there? I really love Rekka B. (Oquonie), Dom2D(Tribute Games), Scott Benson(Night In The Woods), and Alex Grigg(Late Night Work Club). Just to name a few game artist and animators that I’ve been into for the last couple years. Wonderful artist you share. What will be your next project? Well, I can’t say much yet I’m pretty sure, but just keep checking the kickstarter for updates cause we’ve got some stuff coming up! 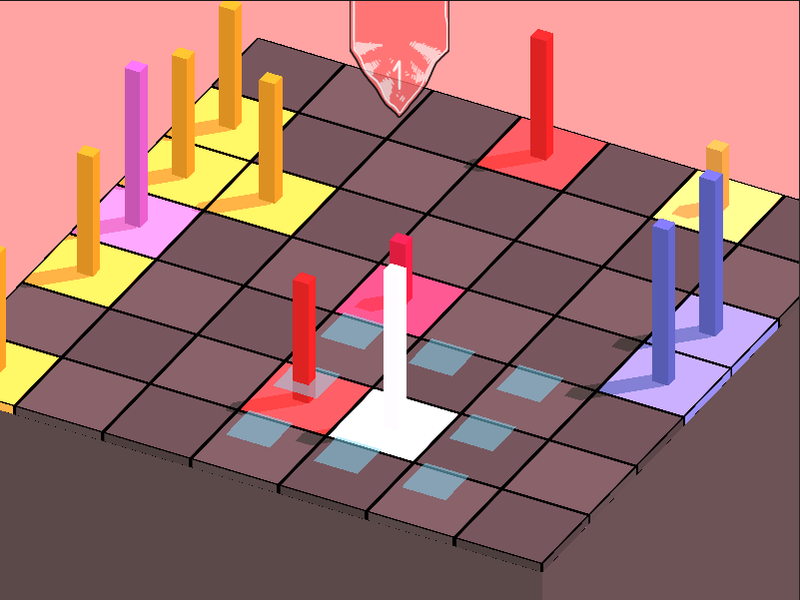 But in general, I’m probably gonna keep doing physical and digital games and me and another friend have a super big tabletop space game that’s been in the works for years but we’ll see what happens. Finally – is there any links (shops, games, personal, tutorials) you want to promote? Thanks for your time Graham. At the time speaking the game is fully funded so we will probably see more from you soon. We encourage readers to sign up for the newsletter – which has not yet been sent ..not even once. Or get the news on facebook. Mr. Dolle is an extraordinary talent. I have had the pleasure of watching his work evolve over a number of years. It is very nice to see some recognition of his great ability. Last “wild” caveman …phew. now I just need to get the rules done.